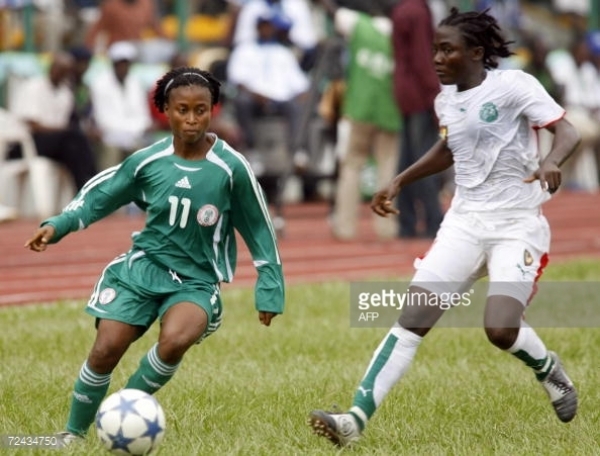 Former Super Falcon star, Vera Okolo has revealed how the female players were treated at the 2004 African Women’s Championship in South Africa. The former Delta Queens player’s lone strike secured an Olympic ticket for the Super Falcons at the expense of Bayana Bayana revealed how she played through pain in her groin to help Nigeria win. She also revealed players had to avoid exchanging jersey’s after matches because they were provided two white kits and one green kit during tournaments. The former striker said Nigerians in South Africa came to players rescue in South Africa when it became known that they were being maltreated and not paid match bonuses. She thanked former president Olusegun Obasanjo for coming to the team’s rescue by giving them N1m each for their efforts in South Africa. Speaking to the Vanguard, Vera Okolo revealed her father disowned her when she made her intentions to play football known.